The ATS6.0 tube and pipe saw is a versatile alternative for cutting of tube and pipe from .125" OD (3.2mm) to 6.625" OD (168.2mm). 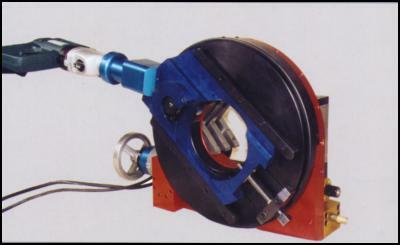 The unique, "self centering" clamping system makes setup on pipe and tube as quick and easy as turning a screw. A special double blade mounting system allows out board blade orientation for cutting various fittings and valves. 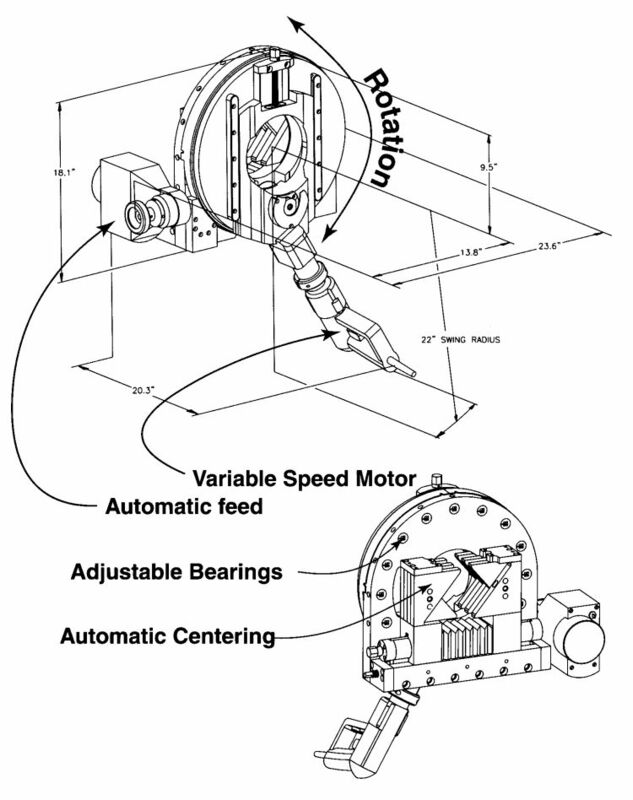 All machines come complete with an adjustable speed, bi-directional automatic servo feed control. 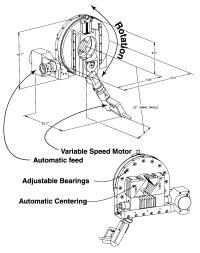 The cutting blade is powered by a powerful 1010 watt, variable 2 speed 120 vac, (220vac optional) electric drive motor. Clamping Length: 1.5" to 4.5"